Olympus and Panasonic are pioneer in mirrorless camera production. Now other companies, even Canon has launched a similar camera, the Canon EOS M. Mirrorless camera or a camera that is now known as DSLM (Digital Single Lens Mirrorless) more and more are produced. Excellence is due to appear DSLM camera with its compact dimensions and light weight. But there is also a camera that has a design DSLM like Digital SLR camera, the Panasonic Lumix GH3. Is this camera is able to compete with DSLR cameras manufactured by Nikon, Canon or Sony? 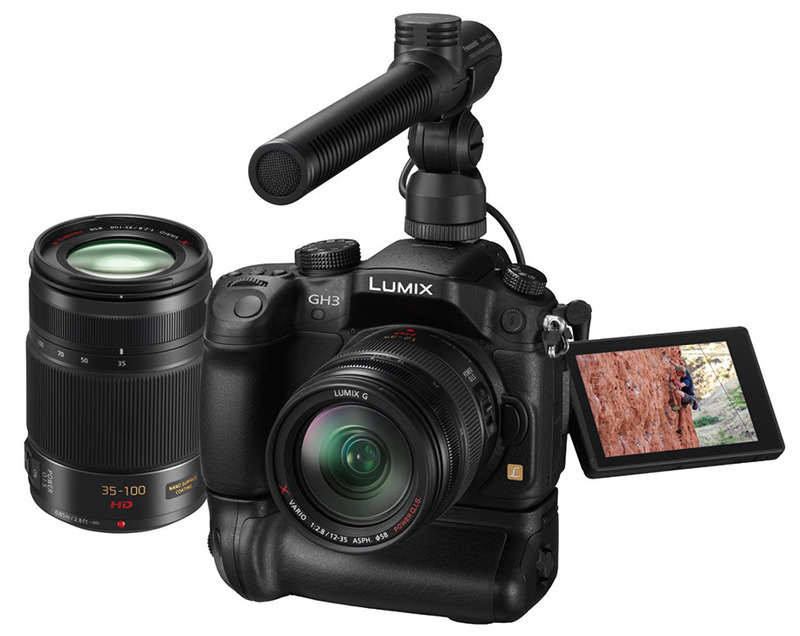 Panasonic Lumix GH3 Four Thirds sensors have been equipped with latest 16 megapixel Live MOS and processor Venus Engine FHD VII, so that it can produce the best images and videos in the category of DSLM. Although the design is similar to a DSLR camera, Panasonic Lumix GH3 weighs 550 grams which is relatively light. It seems like the difference between thin yes, but the body GH3 now use magnesium-alloy materials are weather resistant. So if you just exposed to rain or snow, you can still keep shooting with Panasonic GH3. Performance under low-light conditions also improved, with the support of achieving ISO 12 800 and two innovative technologies; 3D Noise Reduction and Multi-process Noise Reduction. In the back, touch screen 3-inch OLED swivel and electronic viewfinder to help you compose the photo. 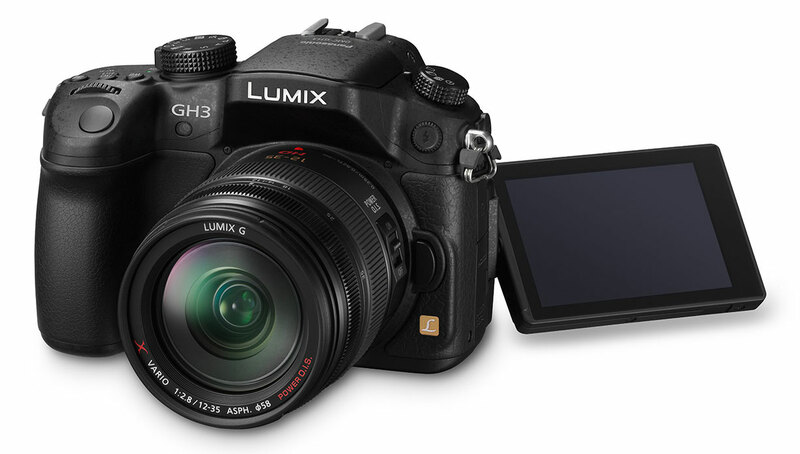 Panasonic GH3 has the ability to record video that is better than digital SLR cameras from Canon and Nikon. You will be spoiled for choice of video recording was complete, ranging from 1920 x 1080 pixel (60, 50, 30, 25 24 fps) 1280 x 720 pixel (60, 50, 30, 25fps) up to 640 x 480 pixels (30, 25fps). The compression formats supported are MPEG-4, AVCHD, and H.264. GH3 has also been equipped with stereo microphone jack for headphones and an external microphone. The video capabilities of Panasonic GH3 acclaimed in various digital camera review. With the availability of Digital SLR cameras or DSLM which has equipped the ability to make a video, then you are no longer bothered to buy a separate video camera. Quality digital camera with video capabilities, even many digital cameras are equipped with a Full HD capability, then you as a candidate for movie maker would greatly facilitated because you can create still photos and movies from a camera just like the Panasonic Lumix GH3 or other DSLR cameras. Are you ready to become movie maker or television news contributor? If you have the talent to make a movie or a video clip, then you can count on Panasonic GH3. Now you also have a good chance to be part of the journalist community. With this camera you can capture any event or occurrence that you see in the community, then you send to national television network or international TV network, then your video can be broadcast as actual news. Who knows CNN, Fox News, BBC or Russia Today and other International TV News Network will call you and recruit you as their journalist. It’s Very good if you maximize the capabilities of your digital camera to earn extra income. Panasonic camera also has Wi-Fi capability for easy transfer of data from the camera to a tablet or computer. You can try other features such as Panasonic LUMIX CLUB services include Cloud Sync to store photos in the cloud, right from GH3. Also there are applications LUMIX Link (Android and iOS), which gives you control of the camera to capture images closer. A variety of advanced features on this camera will allow you to make creative photo and create videos or movies with ease.